Twilight Zone Alert! CNN's new poll has Obama's approval rating at 54%! Terrorism 65% approval vs 34% disapprove. The poll also claimed that Obama gained support among Republican voters. Unless those Republicans are liberal in nature, I find that extremely hard to believe. The CNN/Opinion Dynamics poll did not include the all important political affiliation sample rate percentage. It was the near two to one democrat vs republican sample rate that completely discredited the Associated Press poll a few weeks ago. CNN may a have learned a lesson from the AP and decided not to publish it. Without the political breakdown sample rate, CNN is only giving people more reason to be suspicious of their "poll". Of course I don't take this poll even remotely seriously, but it is funny to see how CNN along with the AP will go to extraordinary measures to prop up Obama, when clearly the majority knows better. Memorial Day isn't about cookouts, shopping sales and going to the beach. Memorial Day is about something more, a lot more. 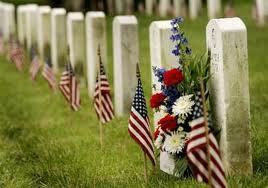 See through the commercialization of Memorial Day, and understand this day for what it is truly about. It's about paying respect and never forgetting those who have served our country and made the ultimate sacrifice protecting our country and it's interests around the world. How tourism is helping the people of Haiti after last year's earthquake. Our kayak tour guide in Labadee Haiti was great. He told us something near the end of the tour however that came as a surprise to all of us. In the middle of the water as all of our kayaks were bunched together, he gave us a heart felt thank you for visiting Labadee. He told us that we as tourists probably just think that by us visiting Labadee, it's just another stop on our vacation, but to him and other Haitians, we are helping them by pumping money into the economy and supporting their livelihoods. I discovered that as soon as a Royal Caribbean ship docks, the Haitian government automatically collects what is known as a "head tax". That means that the government gets a certain dollar amount from Royal Caribbean based on the amount of passengers aboard regardless whether they come ashore. Our tour guide also told us that Royal Caribbean also employees close to three hundred Haitians in Labadee to provide services to the guests, maintain the resort and provide security. He also mentioned the money that tourists pump into the economy by them buying from the local merchants. He acknowledged that Haiti is a poor country, and that he and others are very grateful for the tourists who come to Labadee. To liberals who might be reading this, let me put it another way. It's people with more money then the Haitian people who are actually helping the Haitian economy by spending their money there. That is how trickle down economics work. I remember last year in January when the earthquake struck Haiti, the media hung Royal Caribbean Cruise Line out to dry, because RCCL continued to visit Labadee after the earthquake. Don't associate The Young Turks with people who use common sense.It didn't take a rocket scientist to understand that as long as ships were docking in Labadee with tourists on board, Haiti was still collecting much needed money that it was using towards relief efforts from the earth quake. The media didn't cover that fact. The media also never researched how much money RCCL pumped into Haiti over the last 20 years leading up to the earthquake. The media also never stopped to ask the question on what would be the economic impact if RCCL did stop docking it's ships in Haiti out of "political correctness and sensitivity" after the quake. When the Haiti earthquake became "old news" to the media and they moved on to cover other stories and forgot about Haiti, this is what Royal Caribbean did that the media of course didn't cover. The media never asked the Haitian people who rely on the cruise ships for their livelihood what they thought about the cruise ships continuing to come to haiti after the quake. They knew they would have gotten responses from the people that would have gone completely against the narrative they were trying to paint. This is what a Haitian guide and a merchant had to say about tourists visiting Haiti after the quake. This is what the Minster of Tourism for Haiti had to say. His words along with what actual Haitians in Haiti had to say means way more then what the media and oversensitive liberals ever had to say on the subject. The reason why RCCL was tarred and feathered by the press and some liberals was simply, because they saw Royal Caribbean as a capitalist enterprise making money while people in Haiti after the earthquake suffered. In the media's eyes, people who gave money as donations to help the people of Haiti were good and noble people, but the press as usual didn't want acknowledge that by Royal Caribbean continuing to dock in Labadee, they were helping just as much if not more. The media stopped talking about Haiti over a year ago, but Haiti is still being helped every time a Royal Caribbean ship docks. The capitalist action of tourism is still bringing in money to Haiti one tourist at a time, one cruise ship at a time. A feel good one time donation to the red cross can't accomplish that. If you get a chance. Visit Labadee Haiti and by you enjoying yourself and spending money, you will be helping the people of Haiti. I did, and I have no regrets only fond memories for doing so. I'll post my videos later. Ladies and Gentlemen, I'M BACK!!! I got back in midday yesterday. I was so busy unpacking, I didn't have time to sit down. First off, the cruise was AWESOME!!! The Enchantment of the Seas is a very nice ship. I've never met more friendly and gracious people then the crew members aboard the ship. I have some stories to tell about my trip. As much as I didn't want it to end, it's great to be back. I wasn't out of the political loop while at seas either. Royal Caribbean has Fox News on their channel selection. For those who are silly enough to dispute trickle down economics, I have a story from my cruise while I was in Labadee Haiti that will more then validate trick down economics as it pertains to real life and it's benefits. Speaking of Labadee, here's me in a kayak surrounded by the tour guide and others. I'm in the black shirt on the right in the green kayak. Here's me again. Kayaking is fun, but it will make your arms soar when you wake up the next morning. I actually was late getting to the meeting place. The guide was going over all the safety stuff before I got there. As long as I was wearing my life vest, I was good to go. This is a close up picture the assistant to the guide took of us. I'm all the way on the right side. You can see the ship in the background. I have more to come. I'm cutting liberals and Obama a break for eight days starting tomorrow. I am going on a cruise to the Caribbean. I've been planing this trip for eight months, and I'm looking forward to getting the hell out of Baltimore! Just to let you all know, if you post a comment, I won't be able to publish it until I get back on the 27th, which will be just in time for me to fire up my CHARCOAL grill for Memorial Day Weekend. Tell me life isn't good, lol. Royal Caribbean has Internet cafes on their ship, but they charge eight five cents a MINUTE, so unless I hear news in the middle of the Caribbean Sea that Obama resigned as president, I won't be posting anything until I get back. I've had a hard time sleeping the last few nights. I guess it must be because of the trip. I don't know why exactly my mind is stressing, I mean what can possibly go wrong? Liberal teacher in Massachusetts goes PC on a student for drawing an American flag in ART CLASS. It couldn't have been "allegedly" since they showed the picture of the flag at question at the home of the student on the wall . So the teacher" REFUSED TO HANG" NOT ALLEGEDLY REFUSED. Who stands to benefit more from Mike Huckabee announcing he isn't running for president, Michelle Bachmann or Sarah Palin? Liberals and establishment Republicans can't be happy with Mike Huckabee's decision not to run for the Republican Nomination. This really isn't a surprise though. Huck even said last year that he was comfortable with his position at Fox News, and that it was unlikely he would try a second go around for the Republican nomination. That didn't stop the political chattering class from still talking about him possibly running. He was still seen as the number two most favorable prospective candidate behind Mitt Romney a few months ago. Even though the Republican establishment wasn't keen on a Huckabee nomination, they would rather have had him run for the nomination then have a certain other person run for it and actually win it. It's obvious who I am talking about. Mike's would have been a formidable candidate in capturing social conservative voters, these voters are commonly referred to as the "Evangelical voters". With Huckabee officially out of the picture, the question now is this. Which candidate either announced or going to announce will fill the social conservative vacuum for Huckabee supporters going forward? Minnesota Congresswoman Michelle Bachmann said she will make a decision in June on whether she will officially enter the race. She is a staunch social conservative and is in good standing with the Tea Party movement, but there is another name that the left and some on the right have been trying to downplay and ignore. I'm talking about of course former Governor Sarah Palin. With Huckabee out, and the current GOP field still looking timid at best, a Palin announcement would more then almost guarantee her the nomination or at the very least put her into the second or third position in the first tier of candidates. Going forward until the field is officially set, Palin's name can't be dismissed as it was before Huckabee made it official that he isn't running. There are simply too many McCain like candidates right now who have announced, that is why there really isn't a clear cut favorite among conservatives. The media would foolishly have people believe that Democrats and Obama are afraid of people like Tim Pawlenty and Jon Huntsman. With Romney shooting himself in the foot again on trying to explain his support of Romney care, even the supposed front runner isn't very solid right now. Unlike wtih Huckabee, Palin hasn't really given any announcement she isn't running. People who tend to challenge me on Palin saying she isn't running tend to do so from an emotional dislike for her. I on the other hand believe she is going to run based on the situation and facts. The only way I see Palin announcing she isn't running is if Michelle Bachmann announces she is running in June. Palin said that she wouldn't run if true conservatives stepped up to the plate to run. 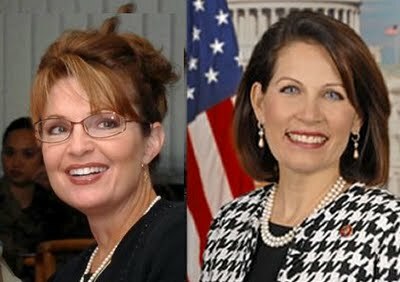 Michelle and Palin are good friends, so I have no doubt that the two have talked about each other's plans. With that said, I still believe that Sarah Palin would more directly benefit from Mike Huckabee not running in gaining his supporters. This is what happened when an anti American piece of garbage tried to burn an American flag at LSU. It's nice to know that all colleges and universities aren't breeding grounds for brainwashed, anti American, socialist and communist students. Patriotism still exist on the grounds of higher education. Yesterday, a piece of garbage by name of Ben Hass wanted to burn an American flag on the campus of Louisiana State University. The response by other students to his cause wasn't very sympathetic. The students threw water balloons at Mr. Hass. All those students should receive an A grade for properly using water balloons. Early yesterday morning, I visited Drudge to see what was the latest stories of the day were. The main headline as big as day was that the AP Poll showed that Obama approval rating was at 60%. I looked at the headline with a stoned face for about twenty seconds, then I clicked the link that directed me to the story on Yahoo News. As I was reading the story on Yahoo about the "poling" from AP, I couldn't help from laughing after reading paragraph after paragraph. The AP poll said that Americans were more upbeat on the economy, they felt Obama's foreign policy was keeping them safe after the killing of Osama Bin Laden. I didn't care about any of that though. All I wanted to see was one variable that AP used to get their 60% approval rating for Obama. I did some digging, and I eventually found what I was looking for, and my discovery as I predicted made the Associated Propaganda's poll look as credible as the forged documents Dan Rather tried to sucker the American people with back in 2004 in trying to take down Bush. 1001 people were polled in the Absolute Propaganda poll, Here's the variable I was looking for and found. 46% of those polled are Democrats, ONLY 29% ARE REPUBLICANS, AND ONLY 4% ARE INDEPENDENTS. That made for a 17 POINT SPREAD BETWEEN DEMOCRATS AND REPUBLICANS IN THE SAMPLE RATE OF THE POLL!! So it's a no duh that Obama would have a 60% approval rating when most of the people polled are DEMOCRATS! This is yet another reason why people no longer trust the Mainstream Media. How could the AP put out such a number and didn't think nobody was going to look into how they came up with 60% approval for Obama? I called into my favorite local radio show host Tom Marr around 10am and told him about the poll, he got a good laugh out of it. He refers to the AP as "Absolute Propaganda", and I couldn't agree with him more. I'm sure most of the national and local shows eventually covered the AP Obama poll, I know Rush destroyed it on his show yesterday. ABC News has the poll on it's website, but it doesn't mention anything about the AP's skewed sample rate, surprise, surprise. Fox News to their credit made sure to highlight the 17 point sample rate skew. What was ABC News excuse for not presenting the "whole" story about the bogus poll? Back to the poll, the AP said that "Nearly two-thirds of Americans who call themselves political independents now approve of him,"Obama". The AP based that "two thirds" of the Independents now approve of Obama based on only 4% of Independents they polled?! I coined the phrase "activist journalism" a few years ago. What the AP and other media outlets who conduct "polls" are doing is nothing more then "activist polling". Once again, this is another example on why the MSM is not to be trusted. To the AP and the rest of the media, don't pee on us and then try and play us for stupid by saying oh no, it's just raining. Half the man he use to be: Newt Gingrich is officially running for President. Well, the so called " intellectual"of the conservative movement has officially thrown his hat into the ring to run for the Republican nomination for president. I'm nowhere even close to being a supporter of Newt Gingrich. I use to respect him way back in the day, when he was the Speaker of House. Back then, Newt understood what it meant to be a principled conservative. These days, he's nothing more then a Republican establishment hack. To understand how Newt changed his spots, all one has to do is go back to the New York District twenty three congressional race between conservative Doug Hoffman, Republican liberal Dede Scozzafava and Democratic liberal Bill Owens. Doug was a principled conservative in the primaries, and he didn't sellout his principals by backing Dede in the general election, instead he ran as a conservative. Now Newt was suppose to have been a core paleoconservative. The overwhelming majority of true conservatives supported Doug Hoffman in the race, Newt on the other hand placed his support behind the Republican establishment liberal Debe Scozzafava. This is Newt doing damage control, when Debe dropped out of the race and then backed Bill Owens who ultimately won the race. There wasn't enough hours in the day for Newt to come up with a validate excuse to why he backed Debe in the first place, none. No core conservative wouldn't have done it. The Republican National Committee only cared about winning that seat, and Newt took his marching orders to have tried to make that happen. Conservatives haven't forgotten either. I still can't explain why Newt over the years have been traveling cross country with the likes of Al Sharpton. I wouldn't even want to breath the same air as that race hustling fool if we were in the same room, so what's Newt excuse? This is Sharpton and Newt at a press conference to talk about joining forces for "education reform". If Newt was as smart as some people give him credit for, he would have realized that it is people who share the same ideological views as Sharpton that have messed up the public school system in America to begin with. Liberal teachers and administrators run the public schools in America not conservatives. If this doesn't put a death nail into the coffin of any chances of a Newt Gingrich nomination, nothing will. This is Newt Ginrich back in 2007 talking to John Kerry on the bogus issue of "climate change". Here is Newt saying "The evidence is sufficient to move towards the most effective possible steps to reduce carbon loading in the atmosphere." Newt's isn't the same man who helped to sphere head the "contract with America". The name is the same, but the man isn't. Newt might have the name recognition, but that is all his has going for him. It hasn't even been five days since the killing of Osama Bin Laden, and Obama is already exploiting the death for his 2012 campaign. Liberals accused the Bush campaign of bringing up the 911 attacks as a foreign policy issue, when he ran for re election back in 2004. He was running on the platform of being a war time president. Obama's supporters would have Americans believe that Obama ordered the killing of Osama Bin Laden to avenge America for the 911 attacks ten years ago, I wonder about that. You'll experience first hand why I wonder out loud about Obama's "true" motives for taking out Osama. When Obama gave the order to kill Osama Bin Laden, the media after it happened claimed that it was a "gutsy" call by Obama to give the order for the Navy Seals to go in and take out Osama rather then have a predator drone bomb the house where Osama Bin Laden was staying. Click on the gutsycall.com website, and see where it takes you to. I rest my case. It hasn't even been one week yet since Osama was taken out, and the politicization has come to this already. Funny how liberals have all of a sudden become patriotic now that Osama Bin Laden is dead. I'm just kidding. Liberals are still their usual anti America, anti Military selves. They just see the death of Osama Bin Laden as a supposed shoe in for Obama to win re-election in 2012. I think they call it "Patriotism with strings attached'. Andrew Breitbart was a telephone guest on Hugh Hewett's radio show yesterday with Guy Benson. They were talking about how liberals are politicizing the killing of Osama Bin Laden. Liberals exploit everything from funerals, oil spills, tornadoes to congresswomen being shot, so why should this be any exception to them? Congressman Tim Scott explains why "we can't tax our way our of debt". It might be wise for Congressman Tim Scott of South Carolina to down play his common sense when addressing Obama and the left. Liberals don't like black people who are smart enough to see through and dismantle their warped ideology of taxing people who make over one hundred thousand dollars a year, you know the "rich". lol What Tim said is correct.We can not tax our way out of this fiscal mess our nation finds itself in.